Bend your reality with these awesome AR apps. 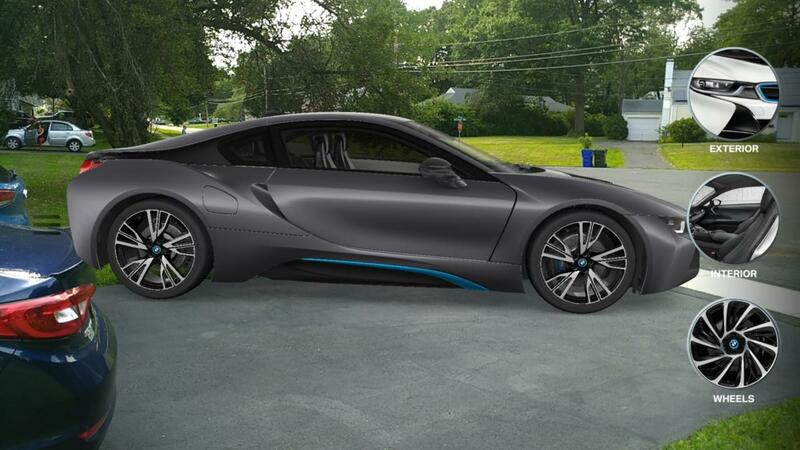 Put a $150,000 i* in your driveway with the BMW Visualizer Tango app. Most of us will never be able to afford a BMW, let alone a $150,000 i8. That’s where BMW Visualizer can fulfill our fantasies. While the app is pretty limited at the moment, it can do one thing that we all want: Put a super car in our driveway. Once positioned you can use your phone to check out every square inch of the vehicle, opening the doors and trunk, peeking at the dashboard, and practically sitting in the driver’s seat. You can’t interact with anything other than the door and trunk latches, but it’ll give you a great feel for how the car pairs with your driveway. You can do the same thing with the all-electric i3, but let's face it, the i8 is the real reason to download this app. See how an item will look in your home using Wayfare’s Tango app. If there’s one downfall to online shopping, it’s that the thing you just bought doesn’t always look as good in your room as it did in the product shots. Wayfare View takes some of the guesswork out of process by letting you place three-dimensional renderings of items in your home. Only a sampling of items are available for Tango viewing, but Wayfare says its adding more all the time. Once you find an item, click the 3D View in Room button and you’ll be able to place the item on a table, floor, wall, or wherever you plan on putting it. You can move it, rotate it, and check it out from every angle, letting you see exactly how it’ll look and how much space it will take up. The Google Measure app for Tango lets you leave your tape measure in the drawer. Google’s own Tango app is a simple but useful utility. Just like its name suggests, Measure lets you take measurements without needing to fumble with a tape or ruler. 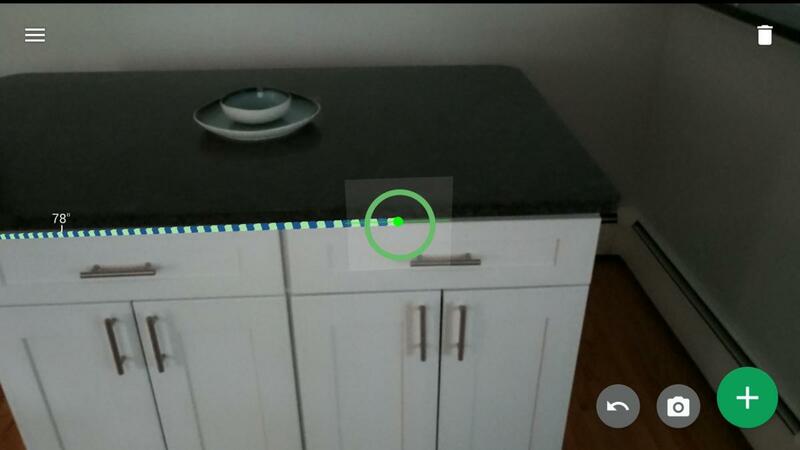 Quick and effortless, all you need to do is point your phone at the object you want to measure, tap to position the measuring bar, and scan the length of the item with your phone’s camera. It’s remarkably accurate and easy, and will likely prove to be an app that’s as indispensable on Tango phones as the calculator is on Android. 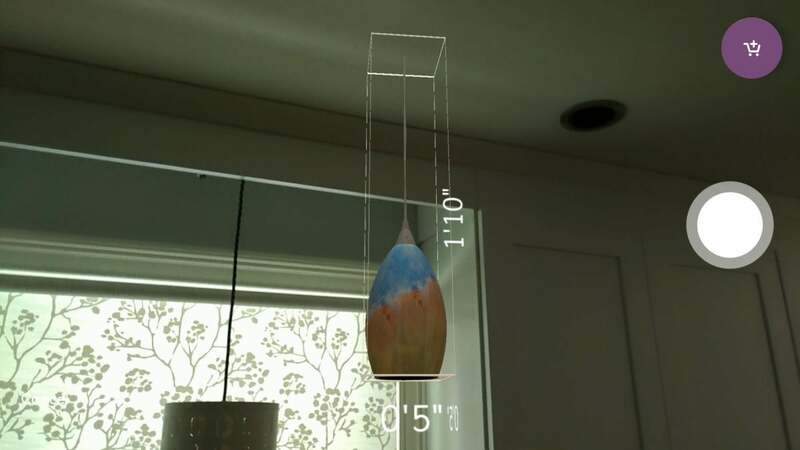 Whether you’re hanging a picture or building an entire house, Measure is an excellent showcase for the power of AR. Visualize your stock portfolio and track trends as they happen with the Wall Street Journal’s Tango AR app. If you’re a stocks junkie, the Wall Street Journal’s Tango app is one you’re likely to launch multiple times a day. 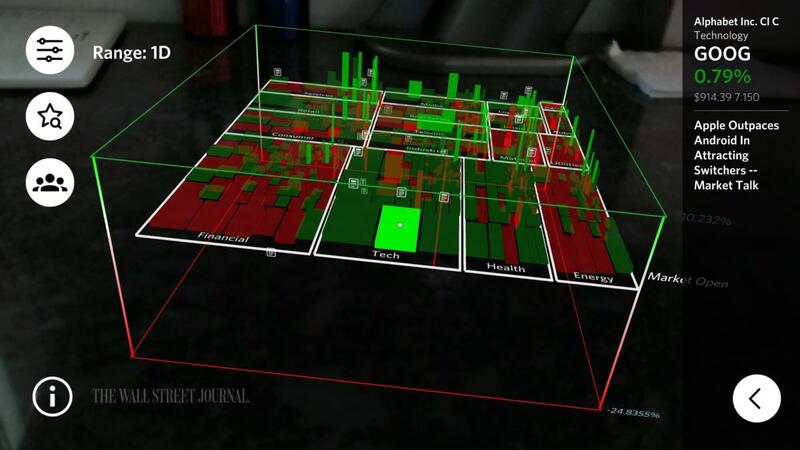 Like a stock ticker of the future, the WSJ AR app puts a 3D stock grid on your desk so you can literally visualize the ins and outs of the market. Positive stocks are in green and negative ones are in red, and you can see exactly how well they’re doing by the length of the bar. Stocks are divided by sectors, and you can filter by time range and max/min percent change, as well as create a watchlist of your favorite stocks, just like with a 2D chart. And if you want to share a tip that’s particularly hot, you can even invite people to view your session. 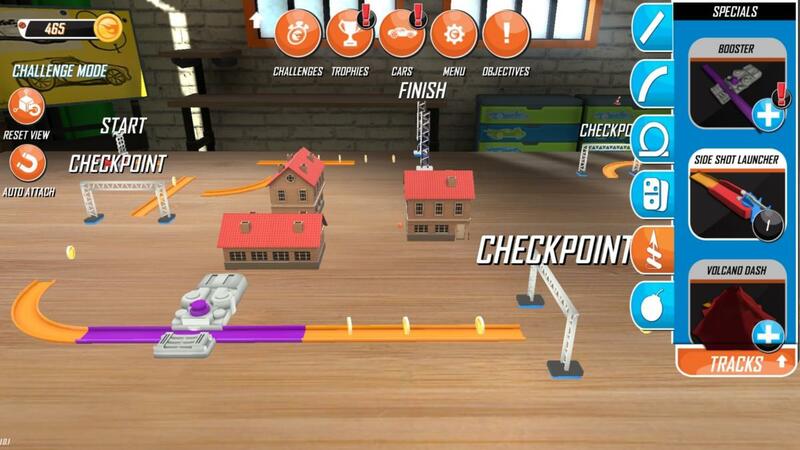 Hot Wheels Track Builder for Tango lets you create incredible scenes for your virtual car. You can argue that Hot Wheels Track Builder isn’t technically AR, but it’s still one of our favorite Tango apps. Since it doesn’t use the camera, it’s really more of a virtual reality game than an augmented reality one, but it takes full advantage of the Tango engine in the same way. To play, you’ll use your phone to navigate a virtual den filled with Hot Wheels tracks, cars, loops, and other objects as you build your dream track. Not only is it a great way to save a bundle on Hot Wheels accessories, it’s also mess-free and lots of fun to use. With the Tango engine you can create tracks that would be virtually impossible in the real world, with loops, launchers, gates, and, of course, lots and lots of cars. And don’t be scared away by the in-app purchases—you don’t have to spend a penny to build an awesome track. 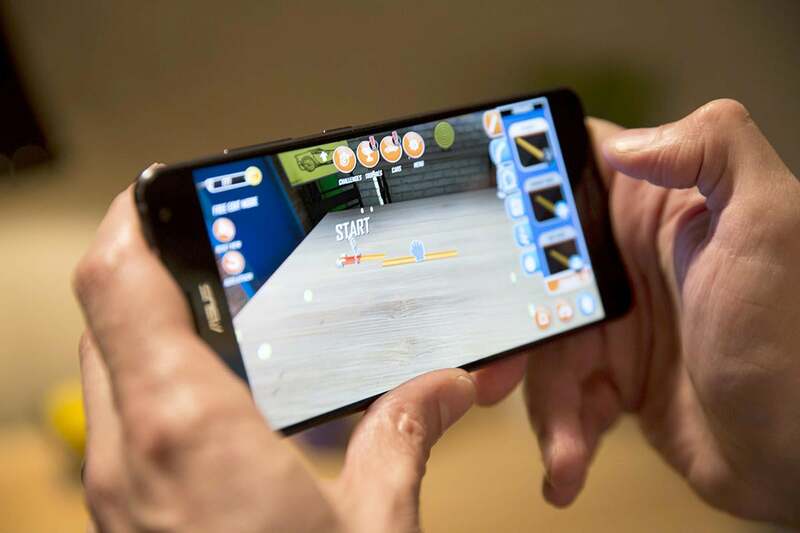 This story, "Five Google Tango apps your AR phone needs right now" was originally published by PCWorld.